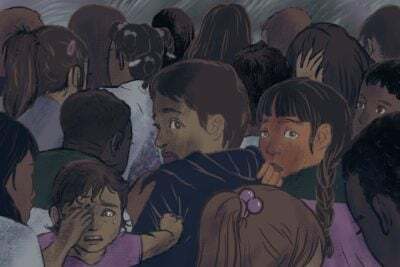 This article was produced in partnership with The Southern Illinoisan, which is a member of the ProPublica Local Reporting Network, and The Republican. SPRINGFIELD, Mass. 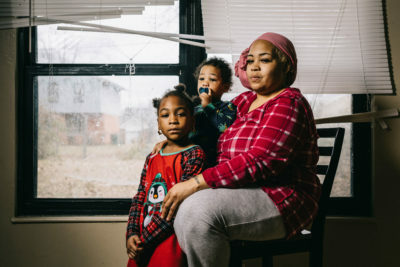 — When housing consultant Joe Reynolds arrived at the Chestnut Park apartment complex here in October 2016, he said he quickly came to the conclusion that it would not pass its mandated inspection by the U.S. Department of Housing and Urban Development. The run-down affordable housing complex, which dominates the city’s skyline, had failed an inspection in 2013. It barely passed two years later. A failing score would have required the owner to certify in writing to HUD that it had fixed every problem with the building, and it could have brought enhanced scrutiny from HUD, potentially leading to penalties. The Dolben Company, which was then the property manager of Chestnut Park, hired US Housing Consultants, the firm that employs Reynolds, to help it prepare for the inspection. In Reynolds’ view, there was a glaring problem: a community room with an empty swimming pool where he said “everything’s all broken.” It was a “disaster, big disaster,” he told another client this August, according to a recording that the client shared with a reporter. The property received 95 out of 100 points on its inspection, HUD records show. Two years later, however, the property still has problems, including bedbugs, heating and cooling issues, and broken elevators, according to city inspection records and tenant interviews. A different company took over managing the property in February 2017, and it is planning a multimillion dollar renovation that is expected to take place next year. When a reporter called a resident of the towers, whose name and number were listed on a complaint log kept by the city, she laughed when asked if the near-perfect inspection score reflected reality inside the apartment complex. “How did that happen? That doesn’t make sense,” said the woman, who asked not to be identified because she is a senior who lives alone and worries about her safety. Also this year, federal prosecutors accused the New York City Housing Authority of trying to conceal the extent of the problems and mislead HUD inspectors by turning off the water to buildings to conceal leaks and posting “Do Not Enter” signs on basement rooms. A senior official at the city housing authority previously declined to comment on the matter but acknowledged that the housing authority has had problems and made mistakes. She also noted that aging buildings need billions of dollars in repairs, but that the federal government has not provided adequate funding for them. The city is in discussions to settle the case. HUD has acknowledged that its inspection system and scoring algorithm has changed little in two decades and that some property managers, and the consultants they hire to help them pass inspections, have learned how to manipulate it. The Southern provided a copy of the recording of Reynolds to his employer, US Housing Consultants, one of a cottage industry of consultants that contracts with public housing authorities and private landlords to provide compliance training and assist properties with inspections and appeals. US Housing, based in New Hampshire, has 40 employees and around 800 clients that manage publicly and privately owned properties across the country. Precourt said that he could not discuss personnel issues, but that he called a meeting with all of the company’s consultants to clarify what is acceptable guidance for them to provide to property owners in preparation of a HUD inspection. Still, Precourt said, Reynolds’ poor choice of words made certain acceptable practices sound more nefarious than they are. For instance, Precourt said it is acceptable to seal off rooms that are not in use at a property if the change is designed to be long-term, so long as it does not create a hazard. Beyond his work in Springfield, Reynolds also recalled recommending other shortcuts that could boost a building’s scores. On the recording, he said he told property owners to remove some emergency lighting and exit signs, even though they may be required by local fire codes. The reason is that HUD inspectors will deduct points for any damaged signs or lights, but only if the items are present and malfunctioning. Precourt declined to address that quote, saying, “that sentence is too dense to unpack.” He also declined requests to make Reynolds available for an interview. Reynolds did not return a message to his work email seeking comment. Precourt also said that Reynolds, despite what he said on the recording, was not the consultant who worked with the Chestnut Park management company in late 2016 to help prepare for its inspection. Precourt said that a different employee of the company advised the property owner to seal off the community room and pool area. Precourt said the wall was intended to provide a long-term solution, and it was his understanding that it is still in place. A reporter for The Republican, the daily newspaper in Springfield, toured the property in mid-November to assess conditions there and found no wall blocking the entrance to the pool room. Sheetrock was observed in the room, piled up on the floor. 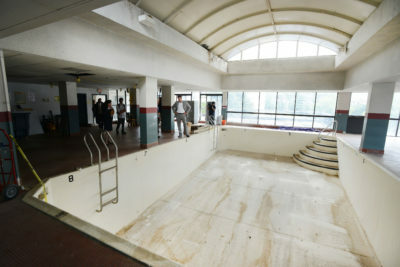 Moreover, there was no wall around the pool area in July when city and state leaders and the property’s manager held a press conference to discuss the planned renovation. A senior vice president with the Dolben Company, which managed the property at the time of the 2016 inspection and had hired US Housing Consultants, did not return a phone call and a detailed email seeking comment about the recording and the inspection. A spokeswoman for the current manager of the property, Related Springfield Associates Limited Partnership, was unable to say when the wall was taken down. Related Springfield took over day-to-day management from the Dolben Company in February 2017, and it has since bought out Dolben’s interest in the property. Mike Gantt, another housing consultant who reviewed the audio at the request of the Southern, said “there is never any justification for removing safety devices or making any alteration that might increase the risk of injury or death” such as exit signs and emergency lighting. This is not the first time that consultants in Massachusetts have drawn attention for their efforts to help properties pass their inspections. 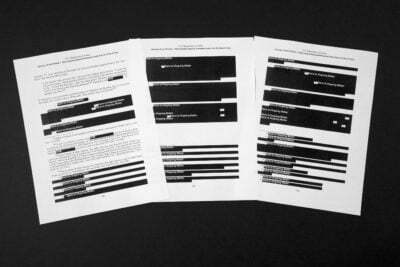 In 2007, 2009 and 2011, a consultant got advanced access to the list of units HUD inspectors would be checking. The consultant gave the information to an official at the Chelsea Housing Authority, who passed it to his boss, who then ordered maintenance teams to focus on those apartments. The consultant was able to access HUD’s databases because he was also a HUD-certified inspector. He and two officials were later convicted in the scheme. A recent report by the HUD Office of Inspector General said the agency still had not taken the necessary steps to secure its databases from inappropriate access that could undermine inspections. 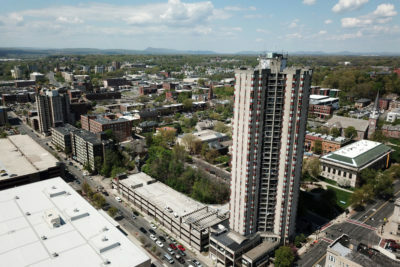 The recording about what happened in Springfield was made by Cori Mackey, who sits on the board of a nonprofit in Hartford, Connecticut, that runs an affordable living complex. The nonprofit had hired US Housing Consultants to help prepare for an inspection in Connecticut in August. Mackey said she began recording the encounter with her phone when Reynolds started discussing the practices he employs to earn his clients higher scores on their inspections. In addition to serving as a nonprofit board member, Mackey is also the executive director of a neighborhood advocacy organization that has worked with tenants in Hartford’s North End who said their privately owned, federally subsidized housing complexes were unsafe and overrun with mold and mice despite having passed recent HUD inspections. 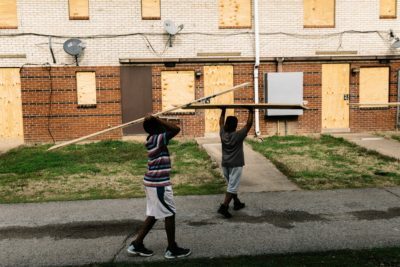 HUD stripped its funding from one of those properties in May. 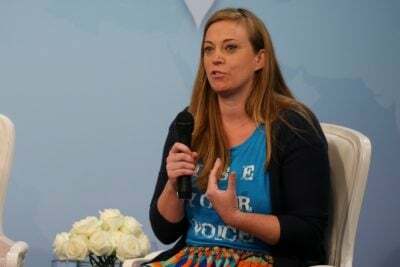 Mackey said her nonprofit asked for assistance from US Housing Consultants because it wanted to make sure its staff understood all of HUD’s rules and were in compliance. She said the nonprofit’s property did not take shortcuts similar to what Reynolds described he did in Springfield. HUD spokesman Jereon Brown declined to comment on the recording because it was made without the consent of both parties. (Connecticut law only requires one party’s consent to record in-person encounters.) But Brown has noted HUD’s ongoing efforts to modernize the inspection system. When Chestnut Park apartments was constructed in the 1970s, the developers hoped to draw a mix of high-, middle- and low-wage earners. But like with many cities, Springfield’s downtown hit a downturn around the same time, as businesses closed and the middle class moved out. By 1988, display ads in the Springfield Morning Union, a predecessor to The Republican, stopped using the word “luxury” to describe the complex. Today, almost all of the building’s residents are low-income renters. The vast majority of tenants’ rents are offset by a form of Section 8 rental subsidies. The property consists of several buildings, including the 34-story high-rise known as 10 Chestnut. The building’s pool was drained two decades ago and hasn’t been used since. Since the 2016 inspection, the city’s housing division of the Department of Code Enforcement has received about 20 complaints from tenants at the property; roughly a quarter of them have resulted in citations, city records show. Complaints about the property over the past two years include water leaks, mold, inoperable community washers and dryers, carpet in a common hallway stained from dog feces, inoperable appliances, and heating and air problems. 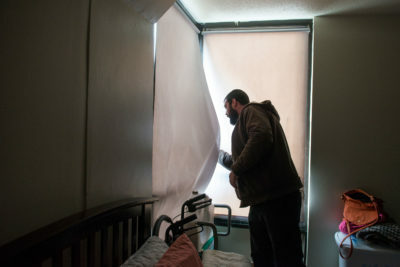 David H. Cotter, deputy director of the housing division of the Springfield Department of Code Enforcement, questioned why HUD inspectors would have accepted the conditions, including the makeshift walls around the community room. “That is just ridiculous,” he said. “We’d suspend any inspector if he walked in, saw that and didn’t issue a citation.” If someone were to put up a temporary wall, it would likely be noticed, Cotter said. And once it was, then the questions would start, such as: Is it a structural change to the building? Did they alter the floor plan without approval? Is the work up to code? Cotter said that to the best of his knowledge, the building was not issued a permit to construct the walls, as would likely be required. Precourt, the co-founder of US Housing Consultants, said that a building permit was not sought, and that he didn’t believe having one was necessary for the work. After taking over management in early 2017, Related Springfield immediately made repairs to elevators and the parking garage, and upgraded security, said spokeswoman Jessica Scaperotti. This year, Related Springfield announced plans for a $45 million renovation. That work is expected to start sometime in 2019. Scaperotti declined to comment on the activities described in the recording because her company was not involved in the process. The passing score is among factors that allowed the property to qualify for a HUD demonstration program, under which it may receive enhanced federal rental subsidies. This supports a broader refinancing of the property, including access to a $10 million state subsidy and federal low-income housing tax credits to fund the renovation. ProPublica researcher Derek Kravitz contributed to this report. Patrick Johnson is a reporter at The Republican/MassLive.com/El Pueblo Latino. Email him at Pjohnson@repub.com and follow him on Twitter @PaddyJ1325.